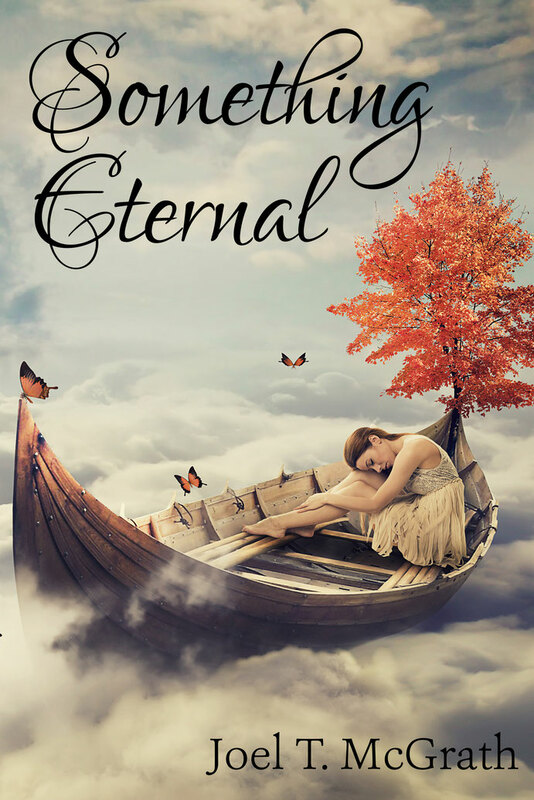 I want to thank the grassroots audience made up of readers, bloggers, and book clubs who, of their own free will, Tweeted, shared on Facebook, and voted in record numbers for Something Eternal during its 30 day campaign. Though Something Eternal will never be self-published, it has life because YOU demanded SOMETHING more, SOMETHING different, SOMETHING new, but most of all, SOMETHING we shared. The readers have spoken! You can feel the tide changing. When a book becomes more than just flat words on a page, it becomes a powerful experience filled with beauty that cannot be mass produced in a factory. Rather, it is the individual who bends reality and transcends the everyday, collective mentality. It is for this reason alone Something Eternal was crafted into existence, and now, your belief has made it almost real. I'd like to post just a few of the wondrous, delightful, and amazing comments made by YOU. There are moments in life where you realize that you have added your little pebble to someone’s Sistine Chapel. I knew it when I first read Joel’s work. He asked me to be his beta reader for a book that was a “cross between Star Wars, Highlander & Jumper” Who could refuse that? Rebecca V. Rebecca was named a top 1% reviewer by Goodreads. "This book sounds pretty intense! Really enjoyed reading about Joel's background, too. Thanks for including it. I love to see what the authors are up to." "Sounds like a very interesting book!" "I am already gripped by this book just by that short synopsis, I have to check it out big time as its really intriguing!" "When I read "someone is going to die", I got chills. It sounds like a page turner of a book. Great for summer!" "This book sounds very interesting." "This sounds like an interesting read indeed. I would love to read this book and I nominated it." "This sounds like a great book. A book that will definitely keep my interest this summer." "Wow this sounds like a great campaign tour to be a part of. This sounds like a great book too! Thanks for sharing it !" "Sounds like a great thing to be apart of this book sounds really good as we'll thank you for sharing." "This sounds like a wonderful book to read. It has been a while since I have read any books." "Sounds like a wonderful book! I haven't read any books for a while." "Sounds like an amazing book to read." "This sounds like a very interesting book! I should get myself a copy." "Great post! I really enjoyed reading the excerpt and the guest post. This book sounds like such an interesting and intriguing read. Looking forward to checking out this book." --Ally S.
"I'm totally in love with your cover too." --Crystal C.
"Sounds like a great read." -- Esther G.
"I think this sounds super interesting." --Stephanie L.
"Such a beautiful cover." --Mary P.
"This sounds like a really nice book. I am looking forward to reading it." --Sandra W.
"I think this sounds like a really interesting read! Has me intrigued!" --Janet W.